I need my photos to comply with Amazon's image policy, can you do that? The short answer is yes! We have hundreds of images that have been approved by amazon in numerous different categories. We don't just deliver the minimum requirements, we make sure that you have more than you need in the event that amazon changes their image policy again. We keep ourselves up to date on all the current requirements from other eCommerce platforms and market places as well. Our turnaround time is generally 7 business days ( Monday - Friday ) starting the day after we receive the products. We need time to verify the contents of the package as well as make sure nothing was damaged in transit. Additionally we offer a 3 day rush service for an additional $15 per photo, please call to confirm availability. Turnaround time will depend on number of images ordered, please contact us for a more exact turnaround time on orders above 10 images. How do I let you know how I want my products shot? Letting us know how you want your products shot is one of the most important steps. We provide detailed instructions as well as a template for this step, which will be emailed to you shortly after placing your order. We provide basic retouching. This included making sure the products are against a pure white ( 255 ) background, with the requested shadow, or reflection ( or no reflection) under the product. We will also color correct the photo to match your product under standard lighting conditions, as well as basic contrast to get your product to look its best. We will do minor clean up of scratches or imperfections, but if the product is in too poor of a condition, additional retouching service might be required. Additional retouching is quoted on a per item basis. We will let you know upon receiving the package if this will be the case or not. You can always opt out of additional retouching if the product quality is not up to par, but you will still be charged for the final photo if you choose to not have this aspect cleaned up, and decide you don't like the final result. We currently do not offer services to make your product look as if it is a different material or color. What resolution will my photos be? We provide all photos in a standard 3000 x 3000 px at 300dpi JPG. We can provide smaller sizes upon request at no additional charge (up to 2 additional sizes). All images come in a standard square crop with the product as large in the frame as possible. The images provided will be large enough for most print applications, as well as big enough for any web use. Please pack your items carefully to avoid any damage or loss during transit. We will use the same packing materials to ship your products back. Please include a printed shot list, as well as an inventory list and a return label if you wish to have your products shipped back. Will you return my products? Only packages with prepaid shipping labels will be returned after completion. We will contact you if there is no label or note included in the package or email describing what you would like done with the products upon completion, to see what you would like done. Discounts are provided in certain cases for trade (product in trade for discounted photos). Please contact us if you would like to inquire about this option. Where all can I use the photos? We grant world-wide, unlimited usage rights for the finalized images, to the company purchasing the service. This means that you can use them in any media,for an unlimited amount of time.The only exception is regarding third party usage. If you plan on providing / selling these images to a third party for usage, an additional usage agreement will be negotiated separately. Please contact us for more details. Can you assemble my product? Please contact us before placing your order if any products in the package require assembly as this might set the turnaround time back. If a product requires assembly, please provide instructions on how to assemble, and a reference photo of the product fully assembled( the reference photo on the shot list should be fine for this). If the product requires more than basic assembly, an additional fee will be charged on a per item basis. Contact us for a custom quote. We will provide you with a download link for your final images once the project has been completed. We will archive the completed images if you need them in the future for 90 days. Any requests after 90 days will be charged an archive retrieval fee of 10% of the final invoice total, or $25 whichever is greater. Can you shoot large products? We are able to photograph objects larger than 24"x24" but please contact us before placing the order for a custom quote. Can you shoot on different backgrounds? We are able to photograph items on other backgrounds for marketing or advertising purposes. Any requests for this will go through an approval process, and may not be eligible for reshoots depending on the direction given. Please contact us for a custom quote. Yes, we accept business checks, but the turnaround timeframe doesn't start until the funds have cleared and are available. Please contact us if you would like to pay by check before placing your order. 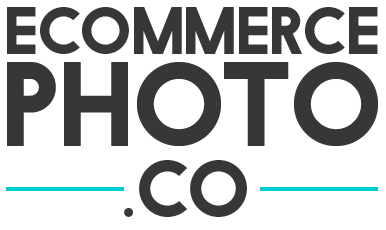 E-commerce Product Photography FAQ for Amazon, Ebay, Etsy, Shopify and More.